In recent years, I’ve found myself travelling more and more to Johor for food due to the favourable exchange rate as well as the burgeoning F&B scene. And sometimes, it’s just nice to get away from Singapore for a day. While it’s not as close as Johor Bahru, Taman Sutera is still a reasonable half-hour-maybe-less drive away once you’ve been cleared from the Malaysian customs entering from Tuas. There, you’ll find a bevvy of restaurants and cafes waiting to be discovered — some of them open till late so you can even have supper there if you wish! For readers who don’t have private transportation, don’t worry. There will be a short and simple guide at the end on how to get to Taman Sutera via public transport. What I like most about Warakuya is its attention to customers, which makes it stand out from the other Japanese restaurants in the area (there must be at least three more, so competition is definitely fierce). From the free use of massage chairs and the drink bar for waiting customers to the complimentary hot towels and desserts (nothing fancy, just some pudding), you can tell there’s a lot of emphasis on making customers feel welcome and appreciated. 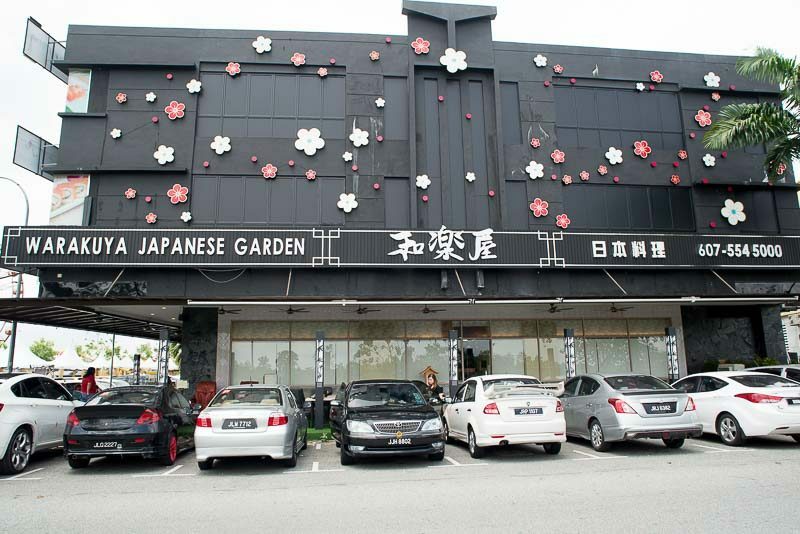 The menu here is so large that it is split up into three separate categories, including Sushi, Sashimi and Ala-Carte. One of my favourites has to be the Tempura Zaru (RM 20.90, approx. 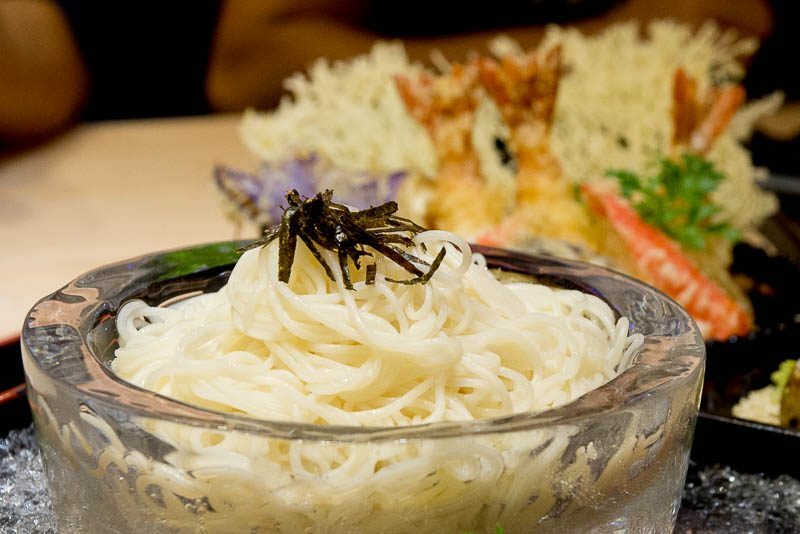 S$6.62), which will get you a basket of freshly-fried and crunchy tempura items such as prawn and sweet potato as well as noodles of your choice (E.g. cha-soba, somen) etc presented beautifully in a bowl of ice. Lovers of mentaiko will be glad to know that they are very generous with it here in both their sushi and maki offerings as well. 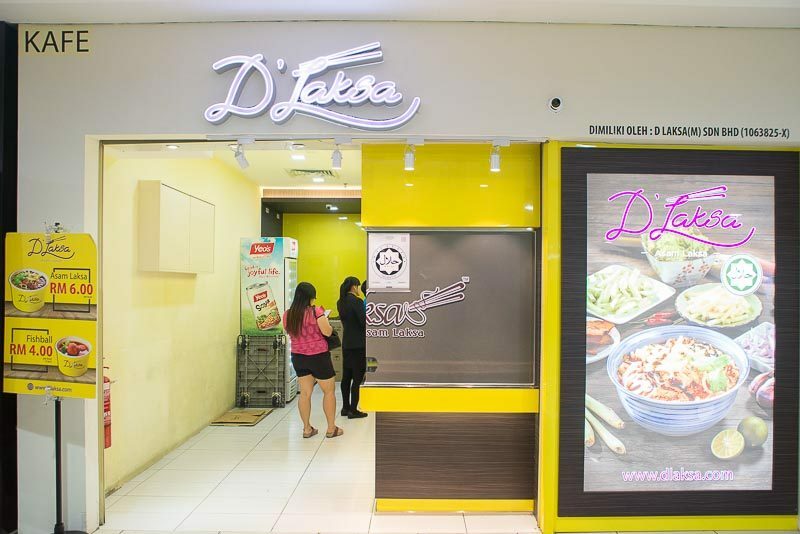 A laksa chain that has garnered many loyal fans from both Singapore and Malaysia, you should definitely keep D’Laksa in mind if you’re looking for a quick, affordable and delicious meal. 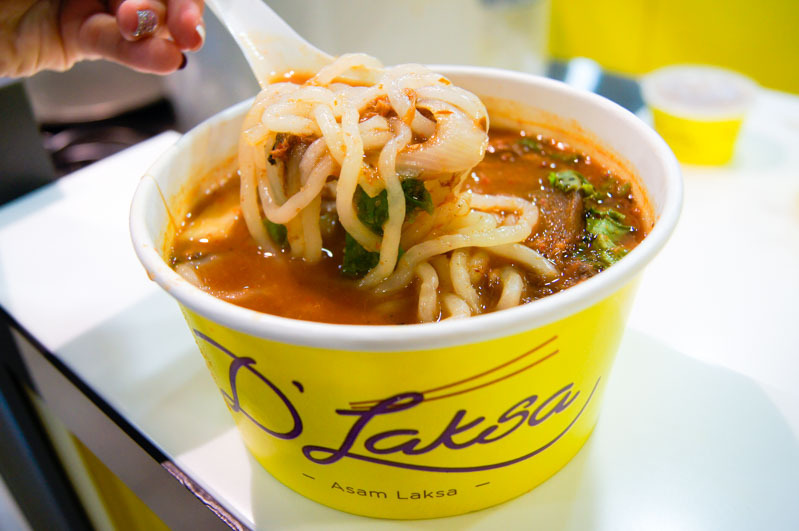 Everything about the Assam Laksa (RM 6, approx S$1.91) works for me. From the thick and hearty sweet-and-sour broth filled with sardine and pineapple chunks to the addictive chewiness of the mee tai mak. I always make it a point to share a bowl with my family in between our grocery shopping at Sutera Mall. 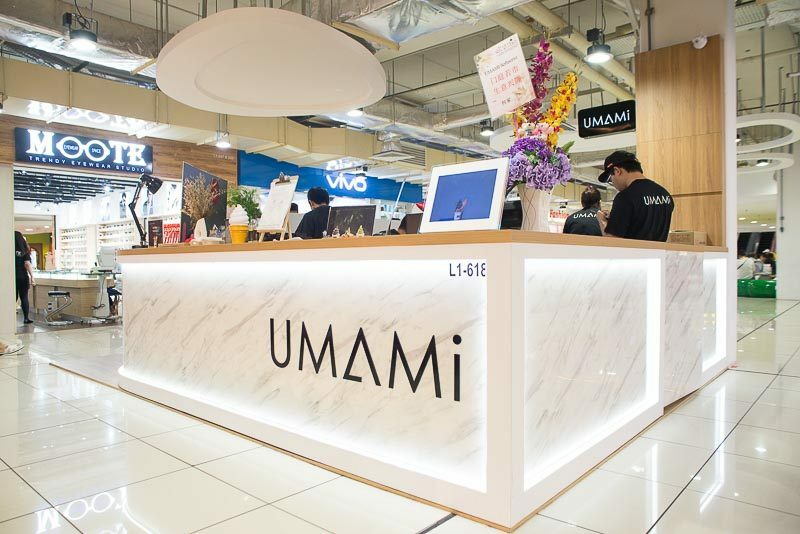 Umami Softserve prides itself on using quality ingredients for their ice-cream. As a result, the menu is incredibly small. Only two flavours of ice-cream are served at any one time, with matcha being the permanent flavour while the other changes regularly. After my first spoonful, it was easy to see why the Matcha in Waffle Cone (RM 16, approx. S$ 5.08) was their signature flavour. Prepared with high-quality matcha from Japan, the initial mild sweetness of the soft-serve gives way a subtle and distinct ‘grassy’ bitterness. 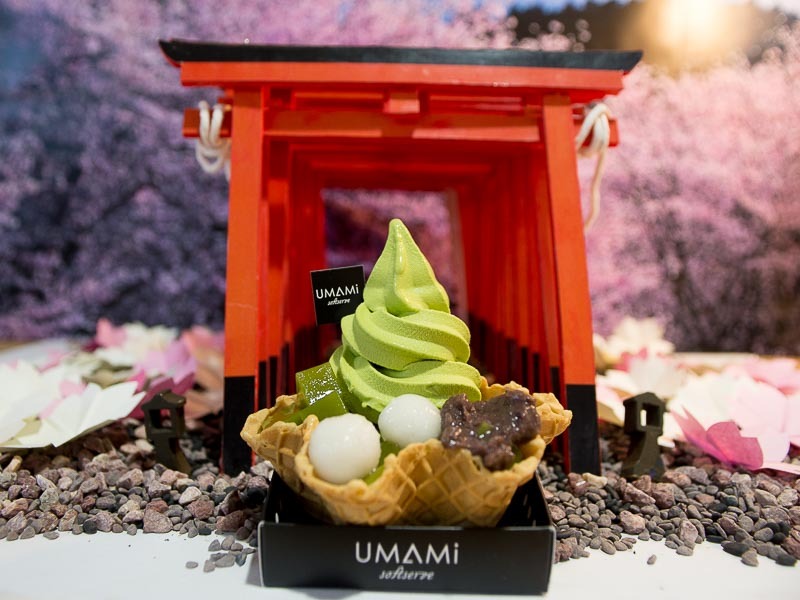 You can have it plain or served in a waffle cone with toppings such as red beans, matcha jelly and mini mochi with fillings. 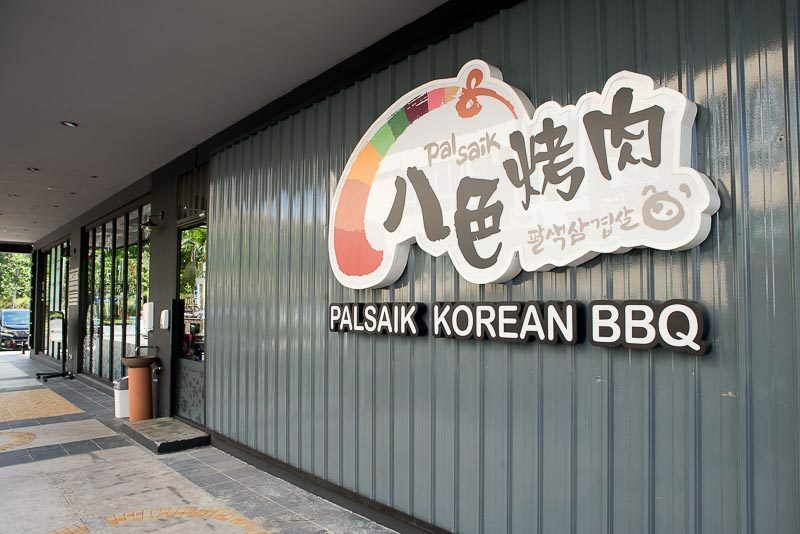 Palsaik Korean BBQ is actually a popular Korean BBQ chain hailing from Korea itself, with branches all around the world. 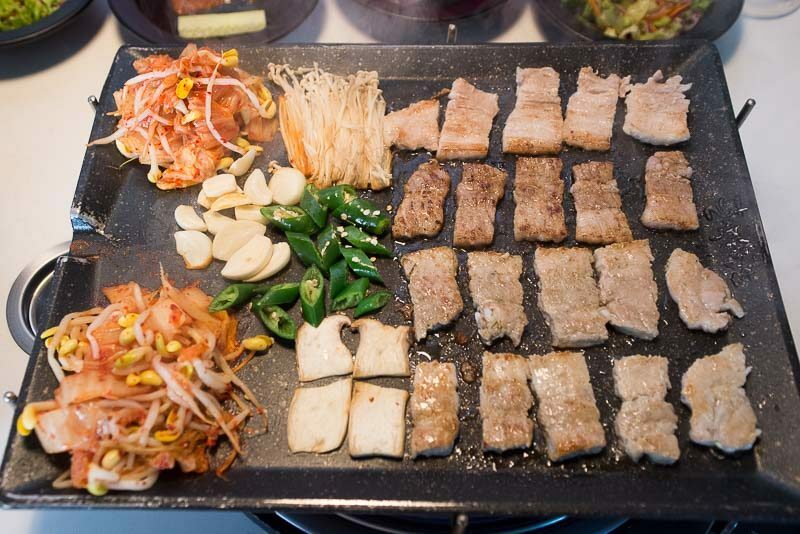 ‘Palsaik’ means eight colours, which refers to its signature eight flavours of marinated pork belly. Eating here is fuss-free and simple since a server will take care of all the cooking for you. I recommend coming in a group of three to four so you can share their 8-Color Set (RM 118, approx. S$37.49), which of course means you’ll get to try all the different flavours — Ginseng, Wine, Pine, Garlic, Herb, Curry, Soy Bean Paste and Hot Pepper. Aside from the BBQ pork belly, the set also includes a stew which you can choose from Kimchi, Soybean Paste and Seafood. If you leave a little bit of the soup at the end, you can order the stir-fried fried rice with cheese as well (charged separately). 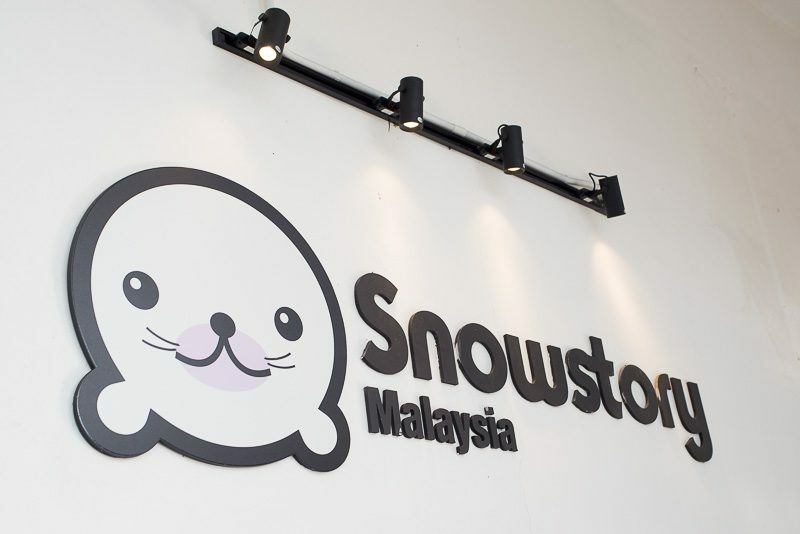 Another F&B concept from Korea, Snowstory serves up a variety of delicious bingsu as well as coffee and waffles at affordable prices. There’s even a local outlet in Sentosa! 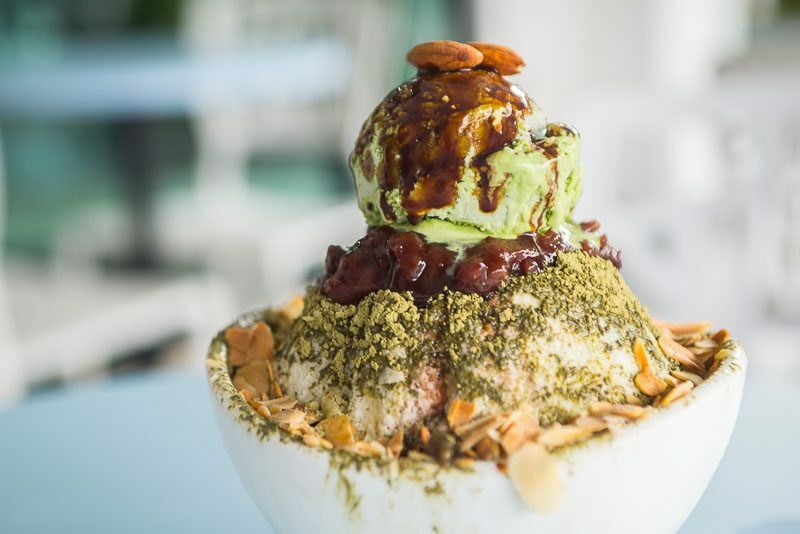 Topped with matcha powder, red beans, green tea ice cream and a ring of sliced almonds, the Green Tea Bingsu (RM 24, approx. S$7.62) was decently large and good for three to four people. 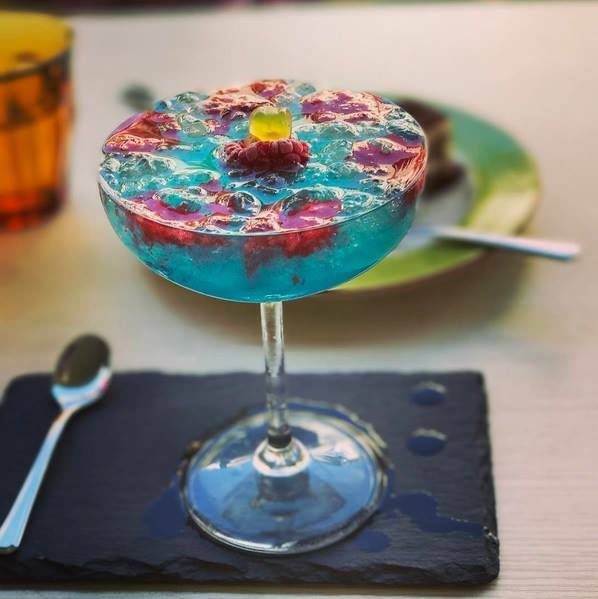 My only gripe with it was the bingsu in general, while the texture of the finely shaved ice was wonderful, the lack of any flavouring inside may come across as plain to some. Thankfully, a cup of sweet milk was provided at the side and you can ask for more if you need it. If you come to Verbena Bakery on a Saturday afternoon, you’ll see it filled with people walking around with trays of bread piled up as high as humanly possible. The reason is very simple — it is cheap and good. Each piece of bread costs roughly around S$0.80 and yet the fillings are very generous. I highly recommend the Portobello Mushroom (RM 2.80, approx S$ 0.89), which is filled with a slice of ham and chunks of sauteed portobello mushrooms; and the Black Pepper Chicken, which is stuffed with discernible chunks of chicken and a very potent black pepper gravy. 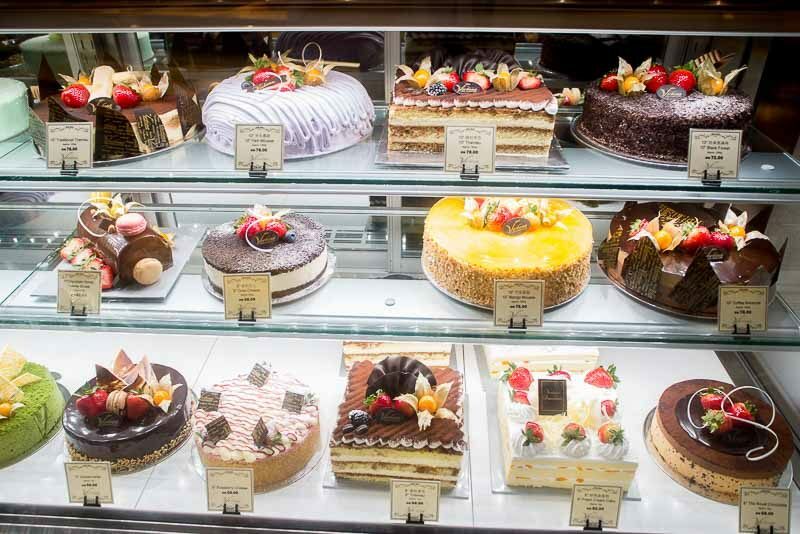 It’s hard to tell but each large cake here works out to roughly S$25, which is actually insanely value for money considering the size and the quality. Individual slices of cakes are available as well and after trying them, I can assure you that they are pretty damn good. The only issue is that they don’t keep for very long (around two hours or so) but don’t worry, you can pay to reserve your cake(s) first, proceed with your shopping and then pick it up when you leave in the evening. 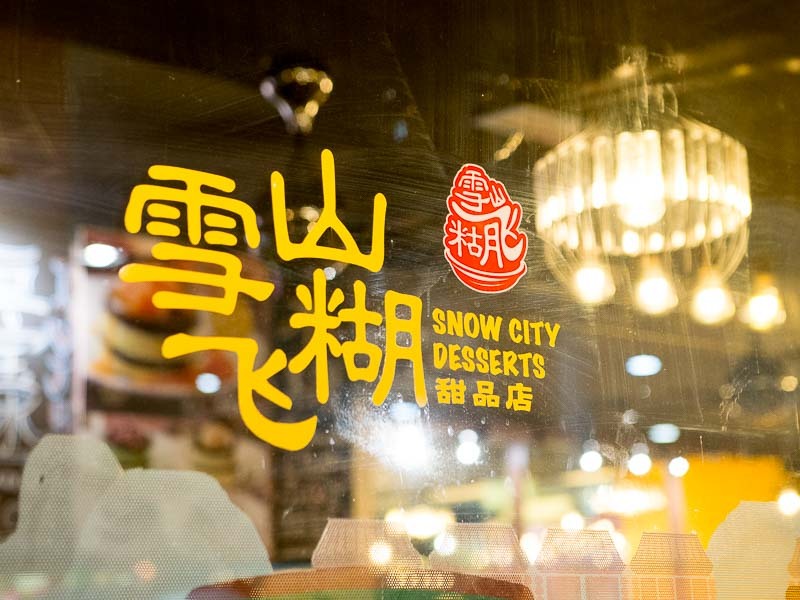 Located right beside Verbena Bakery by the entrance of Sutera Mall, Snow City Desserts serves up an assortment of hot and cold Chinese desserts such as shaved ices and sesame pastes. 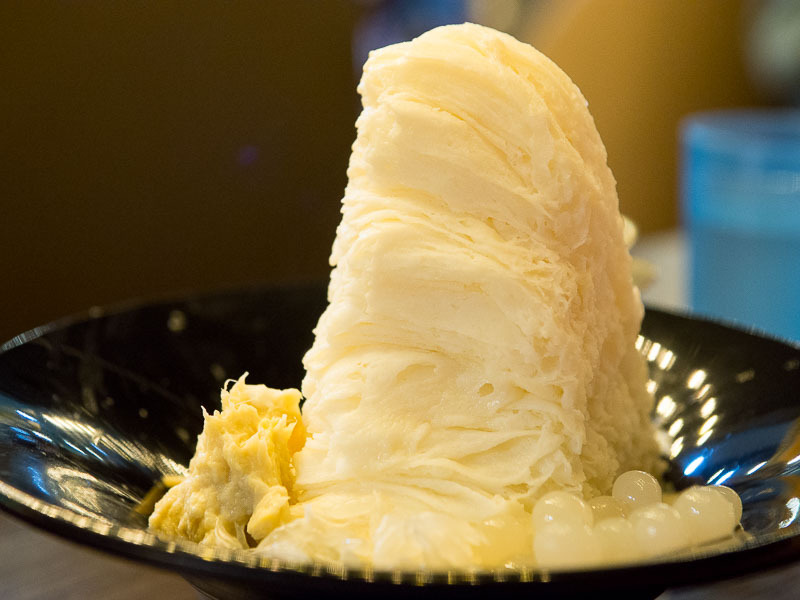 We tried the regular Durian Shaved Ice (RM 14.90, approx. S$4.73) and found the durian flavour to be quite strong (in a good way of course). It came accompanied with a mound of durian flesh as well as pomelo pearls, which was a nice touch. 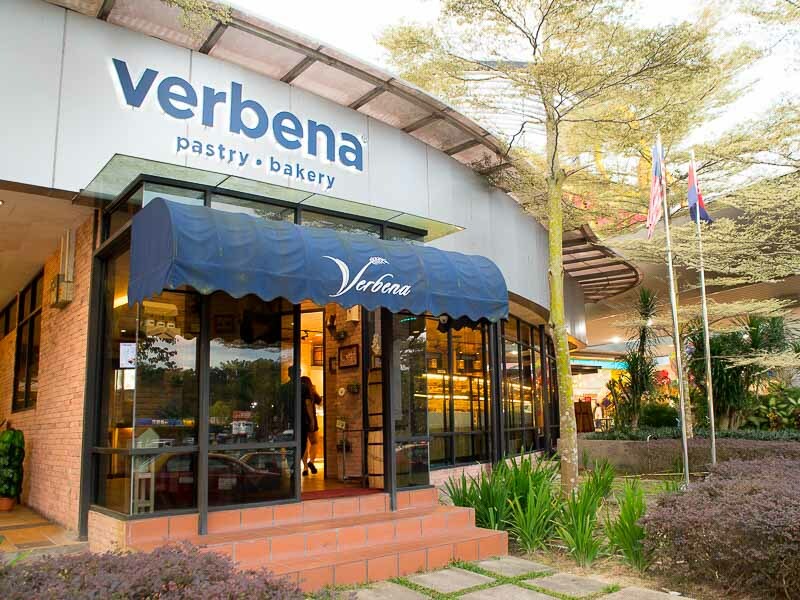 For those taking public transport from Sutera Mall back to Singapore, I would suggest making this your last stop since you can chill with some dessert while keeping a lookout for the bus’s arrival. 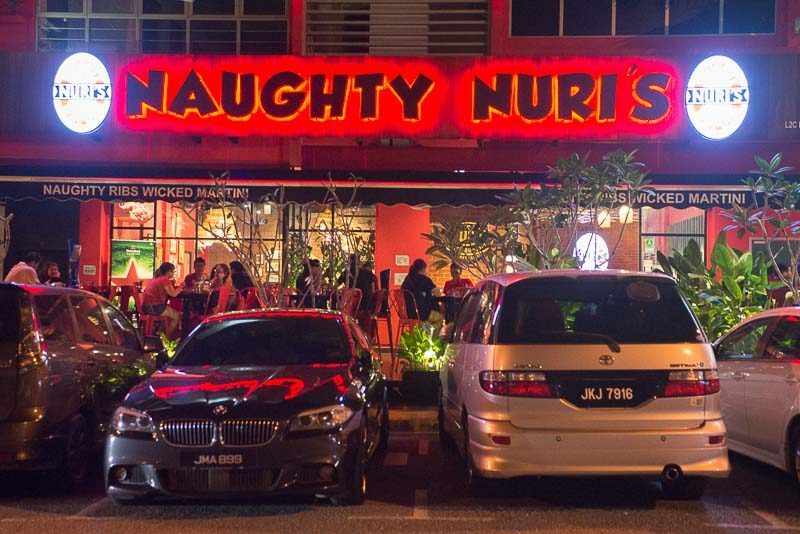 A relatively new challenger into the competitive F&B scene at Taman Sutera, Naughty Nuri’s hails from Bali and is pretty famous for serving up great BBQ pork ribs and martinis. It even has a branch in Singapore at Capitol Piazza! 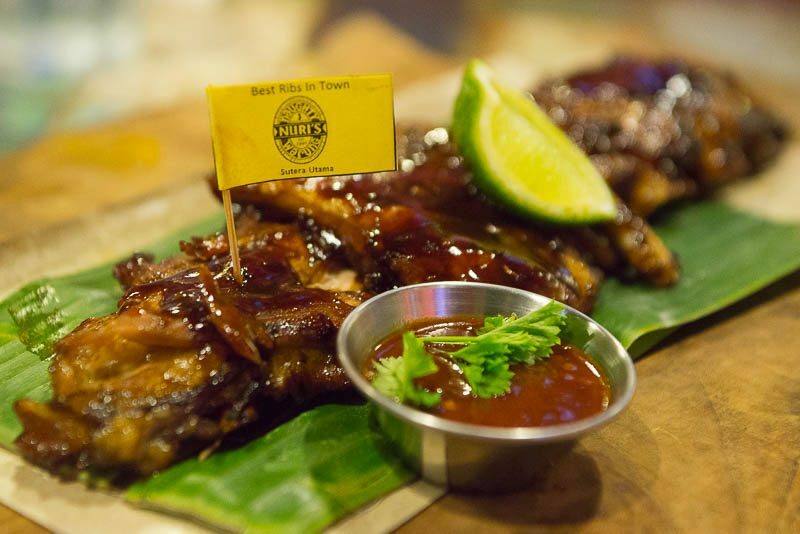 Glazed with a sweet and savoury sauce, the Famous Pork Ribs (RM 53, approx. S$16.84) were fork-tender and fell off the bones easily. A drizzle of lime juice helped cut through the strong flavours and before we knew it, the ribs were finished — definitely worthy of being its signature dish. Dining here is a pretty fun experience, due to the interesting (to say the least) pig-centric decor as well as the friendly servers who will occasionally do a choreographed dance every couple of hours or so for the guests. 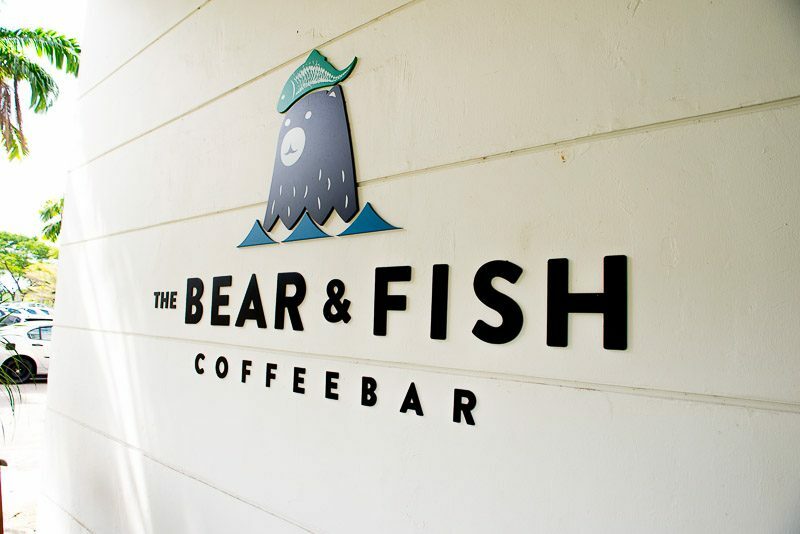 Among all the cafes in the Taman Sutera area, Just Want Coffee: The Bear & Fish Cofee Bar is probably the largest one, spanning across two floors. The coffee bar itself looks very sleek while the sitting areas are warm and inviting, which makes it perfect for chilling an afternoon away. The brunch menu, while simple, is executed well. They also serve a variety of coffees, including cold brews as well as their own creative beverage menu with drinks such as the Dancing Bear (RM 17, approx S$5.40). For those without personal vehicles, travelling there via public transport is fairly easy as well. Just hop onto a Causeway Link bus that will take you past the Tuas Checkpoint into the CIQ 2nd Link (Malaysia’s corresponding checkpoint). There, you can take either bus service CW3S or CW4s, both of which will include a stop right in front of Sutera Mall. For detailed bus routes, service timings and pick-up locations, please visit the Causeway Link site. Traffic jams not withstanding, the whole journey should take around an hour. If you’re planning to go on the weekend, I strongly recommend going in the morning because the Malaysian customs can get congested with traffic really quickly. 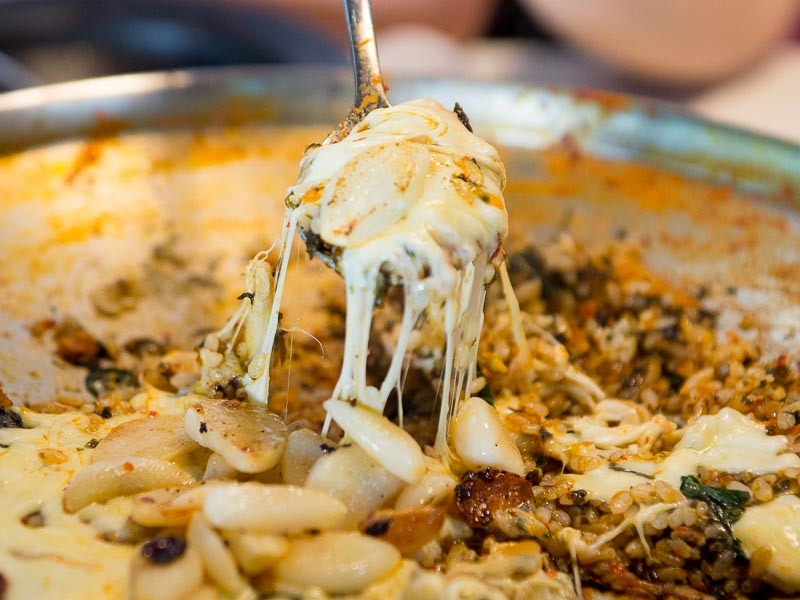 Aside from the entries in this list, there are still scores of restaurants and cafes serving all kinds of cuisines so be sure to keep your eyes peeled while you’re there. For those of you who just can’t live without the internet for even a day, don’t worry. Most cafes and restaurants provide complimentary WiFi for customers. 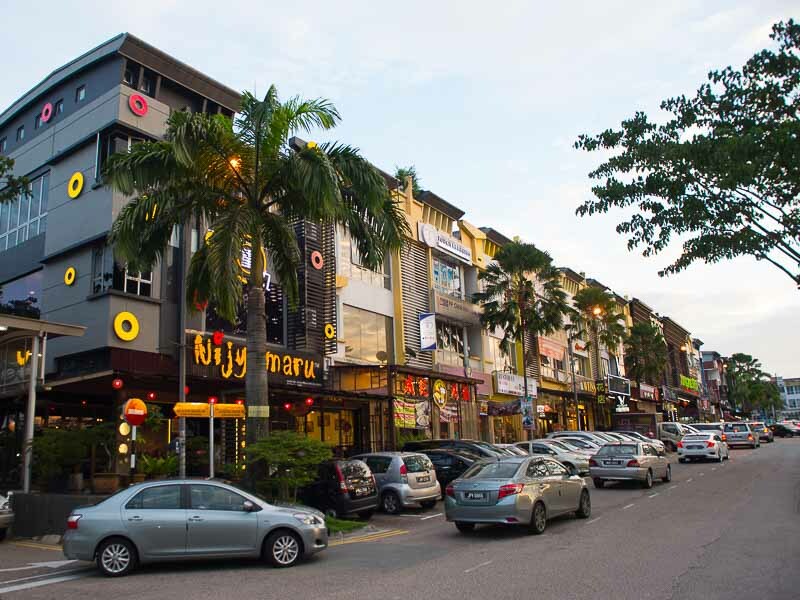 Are there other places in Johor you think we should check out? Let us know!